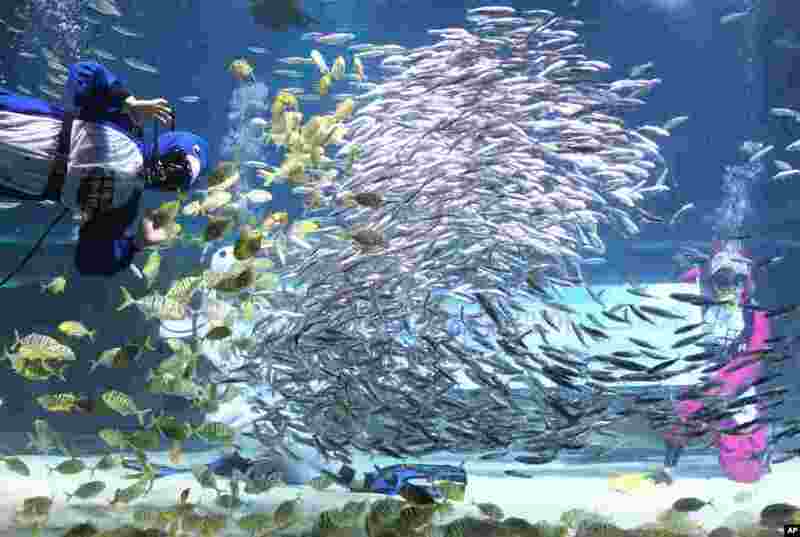 ١ Divers dressed in penguin costumes perform with a school of fish as part of the New Year and winter vacation season's events at the Coex Aquarium in Seoul, South Korea. 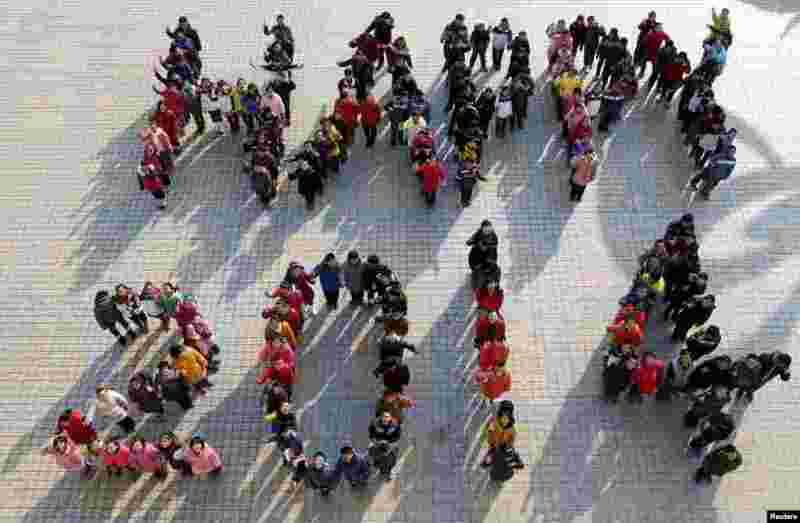 ٢ Students stand to form "Happy 2014" to welcome the upcoming New Year at a middle school in Ma'anshan, Anhui province, China. ٣ Ambulances line up at the site of a trolleybus explosion, background, in Volgograd, Russia. 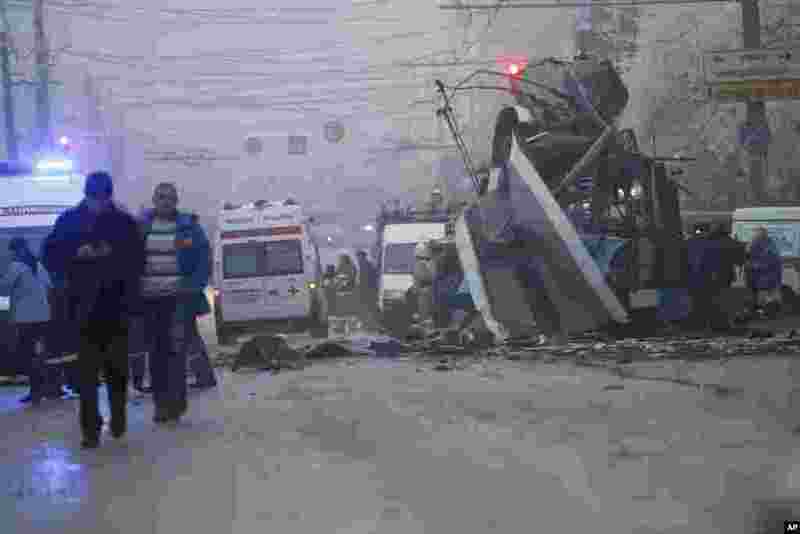 A bomb blast tore through the trolleybus, killing at least 10 people a day after a suicide bombing that killed at 17 at the city’s main railway station. ٤ Children stand in the snow outside their shelter in Kabul, Afghanistan.